If you’re just starting a chama, one of the first and most important decisions you will make is what to name your group. It sounds easy enough. Make up a funny name and your Chama is up and running. But nothing is ever that clear cut. Some of us decide to just forget about naming the chama and just go about our business with a chama that does not have a name. Particularly for the less formal chamas such as merry-go-round, members rarely name their chama. But, should you want to do some serious business or investment or access loans from banks, then you cannot get away without a name. Your chama must have some sort of legal entity either registered or a limited company and this includes having a name. Whilst it may seem like a trivial matter to just pick a name and move on, keep in mind that once you have this name it will be difficult to change it in future as it will be registered. Thus, it is important to put some thought to this name picking process. Even if you are the founder of the chama, remember to engage the members you have recruited to participate in this name picking exercise. Here are tips to help you pick a name for your Chama. In choosing a name that’s representative of your chama, you have to first define yourselves. You already know what you want to do in the chama, or what you want to achieve in future, but now is the time to establish how you’re going to convey that to the public. Is your chama social and fun? Serious investments? A merry-go-round? 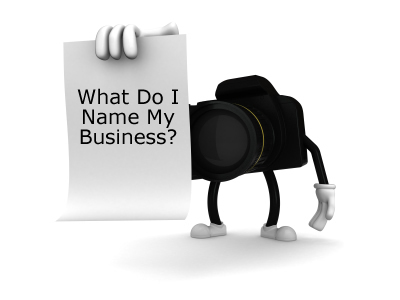 These considerations need to be taken into account from the beginning because they will heavily influence your naming strategy. Before committing to a chama name, make sure to cover your bases by doing some thorough research. You should do a basic search at Ministry of Social Services and/or Sheria House to find out if anyone else already holds a similar name to the one you want to use. If yes, it is a good idea to abandon the name and start brainstorming again. If no, register the name for your chama. Besides only English names, you can choose a Swahili name for instance or even vernacular depending on the tastes of the chama members. For example you can choose something like Bidii Chama or even Maisha Bora Chama. However, when choosing a name in a bid to be creative, do not choose names and slogans which are offensive. When it comes to naming and other significant chama decisions, always be sure to solicit feedback from members and well as other people. Ask them, what comes to your mind when we say for instance “Bidii Chama”. They will often be brutally honest in their responses, and their feedback can help you identify previously unforeseen issues or negative associations. Your website has proved to be a wonderful resource.